Did you make the cut? The finalists have been announced for the fourth annual Cynopsis Model D Awards! 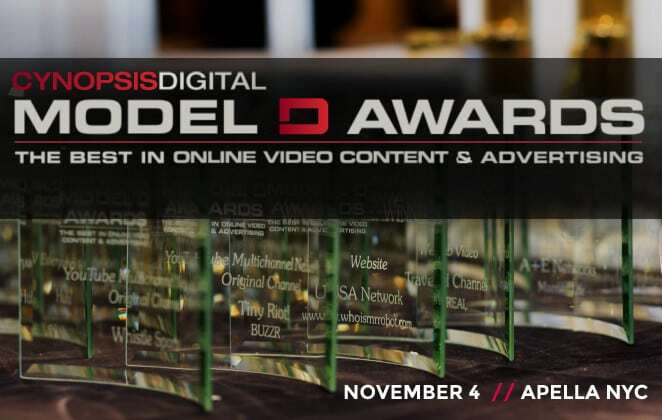 The Cynopsis Model D Awards brings together innovators and creators at the forefront of online video, elevating the industry with their contributions to branded content, technology, ad campaigns and original content. And we’ll be celebrating our first group of honorees to be named to the Cynopsis Digital “It List”, recognizing digital media’s movers and shakers. We hope you’ll join us and your industry peers at this special event on Friday, November 4. Visit our event website for the full list of finalists, and to reserve your spot for the luncheon. Tickets sell out fast, so don’t miss out!